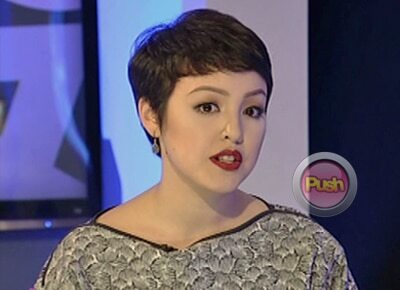 Cris Villonco talks about ‘Hari ng Tondo’ and shares why she called off her own wedding. On Aquino and Abunda Tonight, Cinemalaya Best Supporting Actress Cris Villonco talked about how she called off her own wedding last year and how it was working with her uncle, director Carlitos Siguion-Reyna. Cris also shared how being a Siguion-Reyna entails pressure and how some people tell her, “you better be as good as your predecessors.” Cris also mentioned how tough it is having social media accounts such as Instagram and Facebook that would open oneself to public comments and scrutiny. A good thing about being a Siguion-Reyna though, which even the Queen of All Media Kris Aquino noticed in Cris, is having flawless skin. The film, Cris revealed, is loosely based on her grandfather. Cris also shared how viewers will see “little tidbits” of herself in this movie.